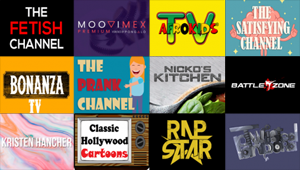 We've reviewed 30 new Roku channels so far this week, with content in the categories of Comedy, Educational, Food, International, Kids & Family, Lifestyle, Movies & TV, News & Weather, Religious, Special Interest, Sports, and Web Video. Click on the links below for more details on each channel, including our exclusive channel reviews. WREG News Channel 3, Memphis - Local news, weather, sports, and segments from WREG News in Memphis, Tennessee. Ministerio Tercer Milenio - Watch seminary courses that are used in seminaries and broadcast on television all over the world.